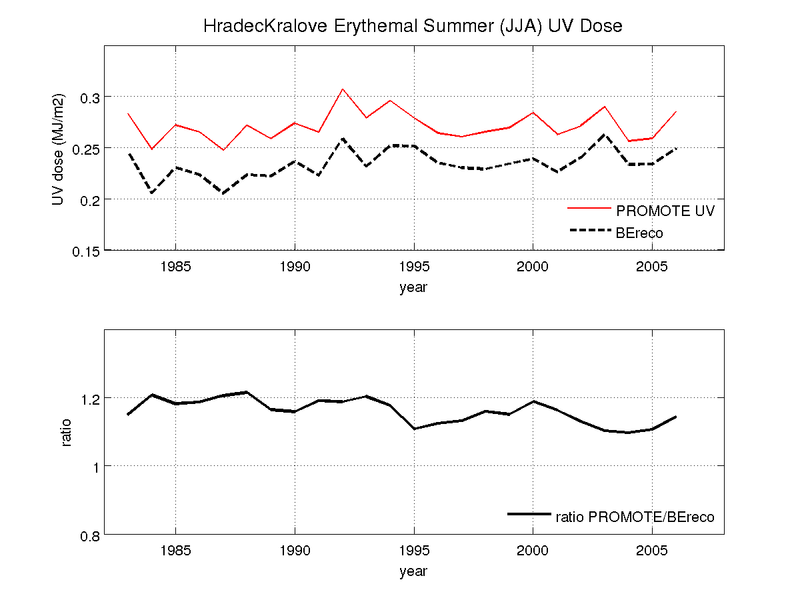 The satellite-retrieved erythemal UV doses over the period July 1983 to June 2007 were compared to ground-based measurements at eight European sites. 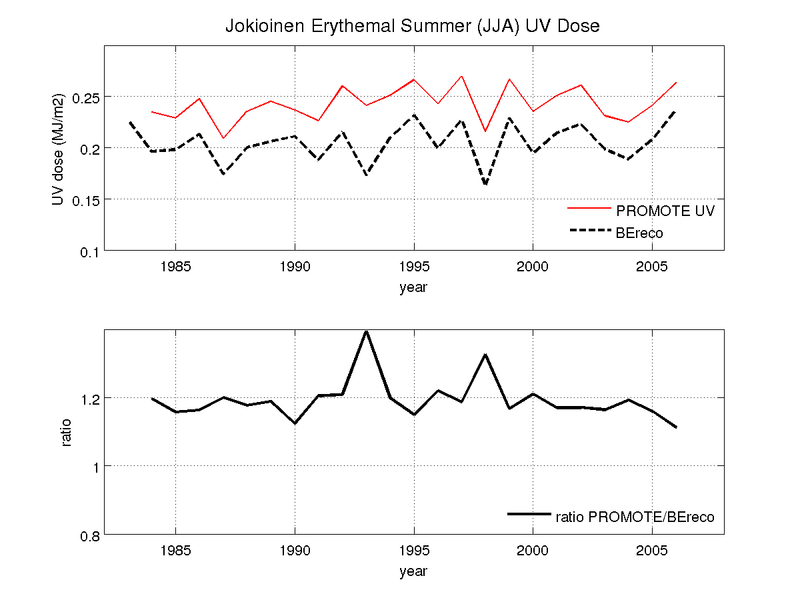 Following the paper by Tanskanen et al. 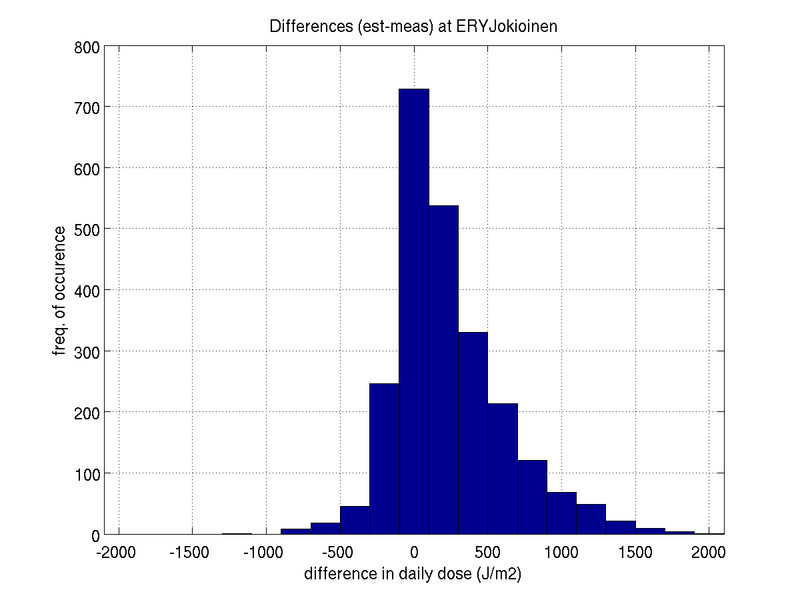 (2007), we applied a threshold filter of 200 J/m2 to the daily doses, so that only doses exceeding that value were included in the validation analysis. The results detailed in the table beneath show that the new algorithm for satellite-retrieved UV is working more or less as expected. 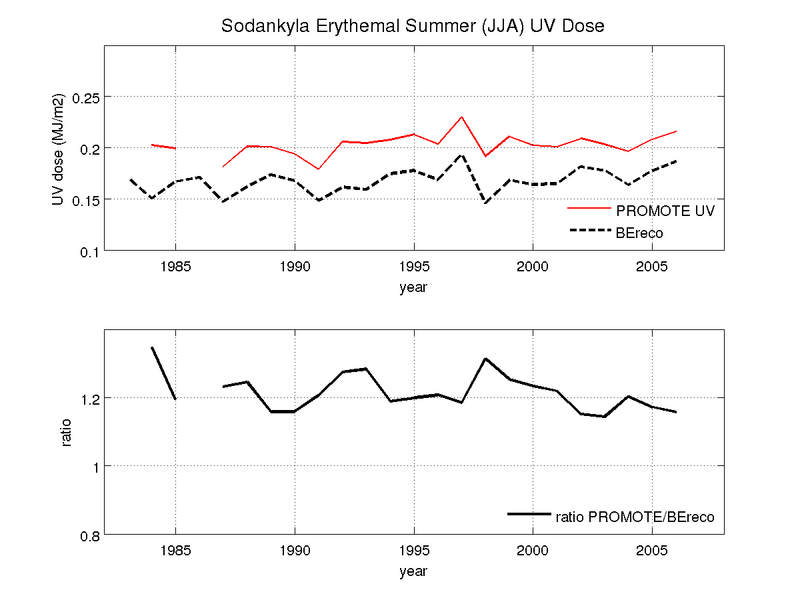 The performance is similar to that of the Phase 2 results and also OMI-retrieved UV in Phase 1, with quite a clear tendency toward overestimation. 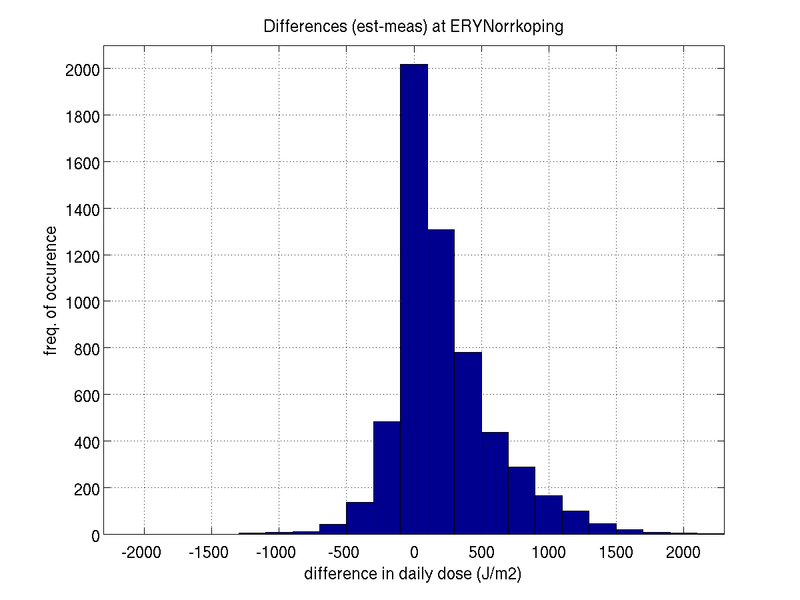 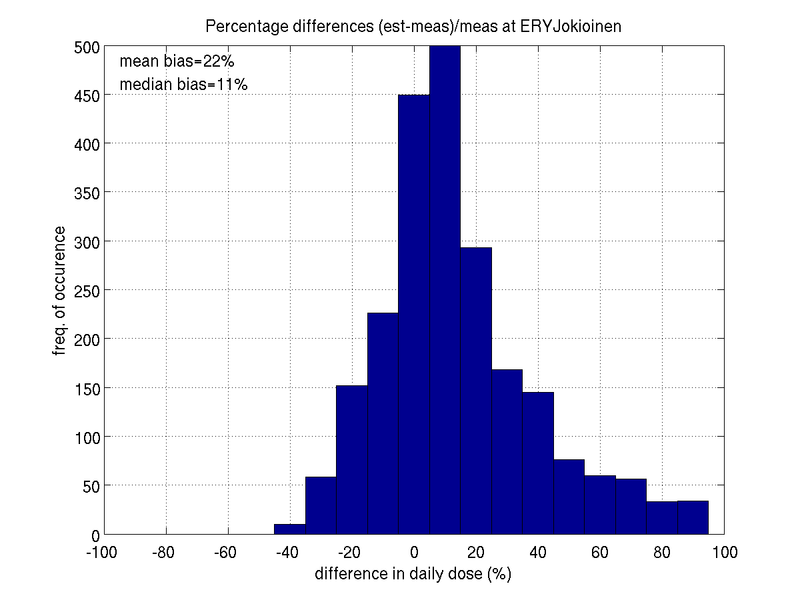 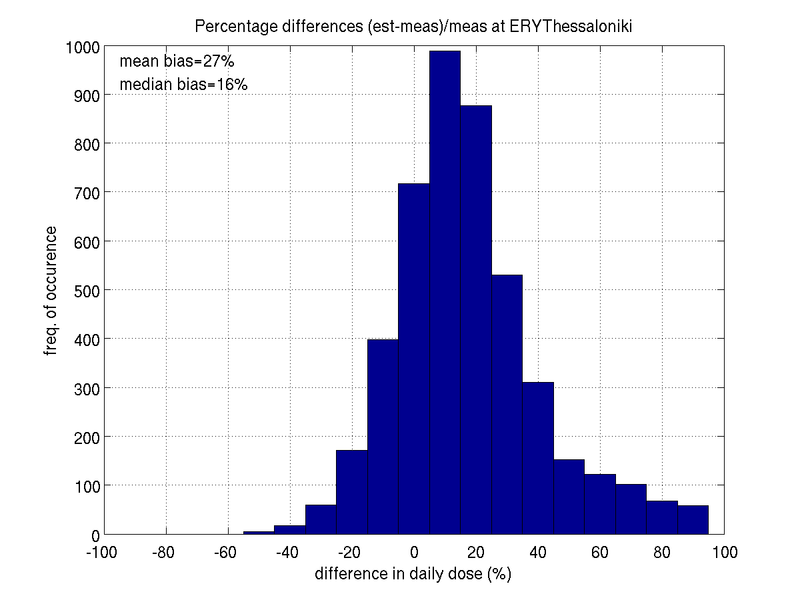 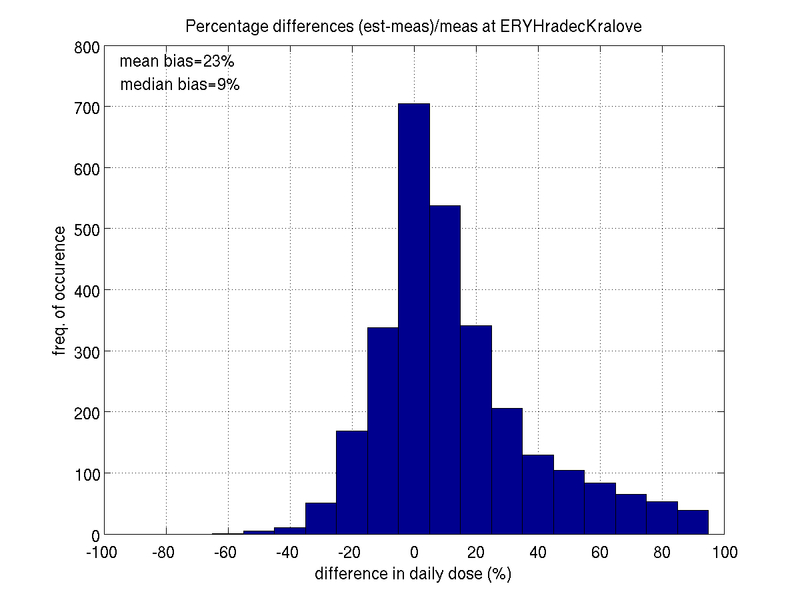 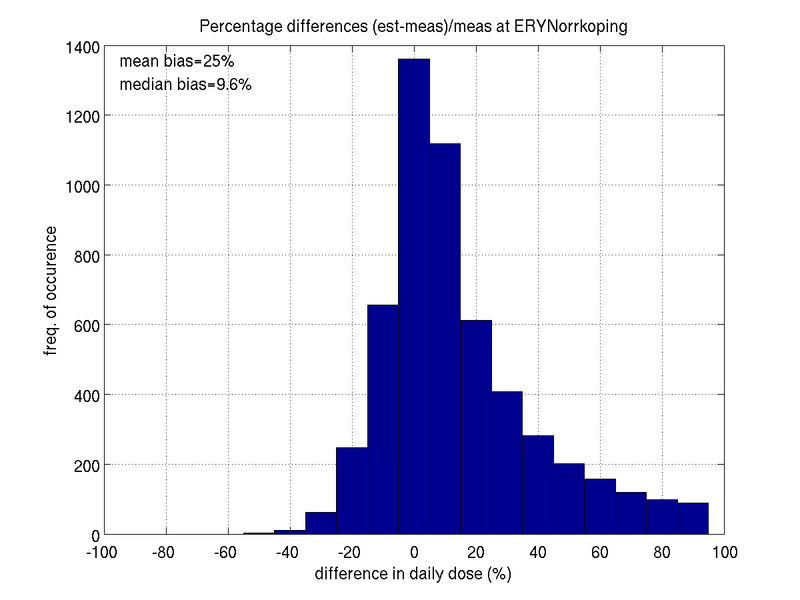 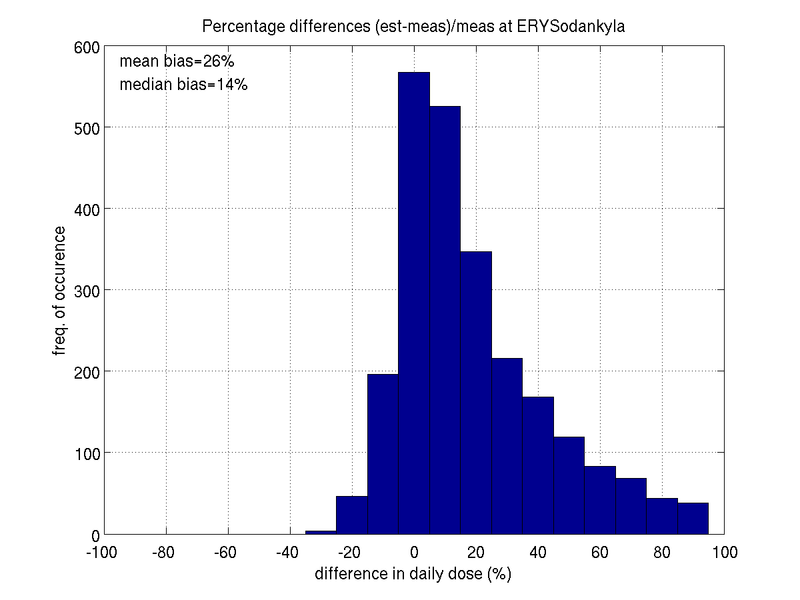 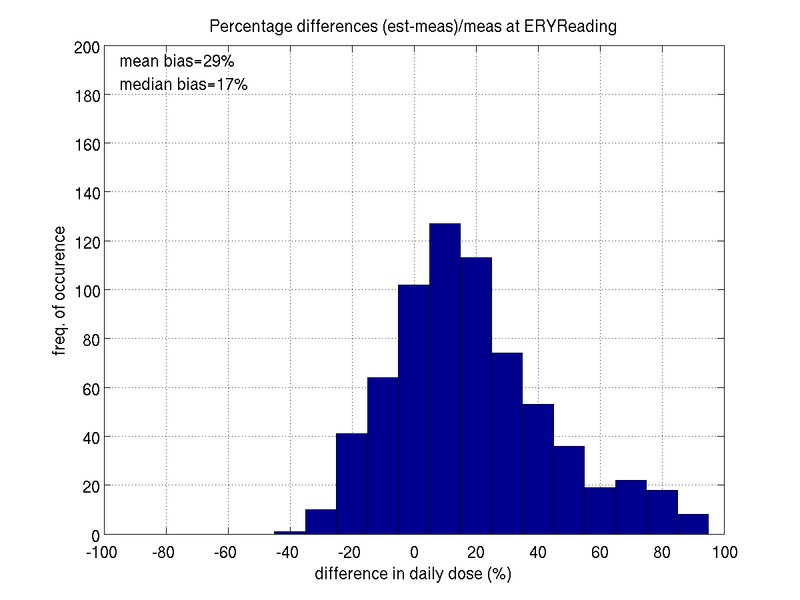 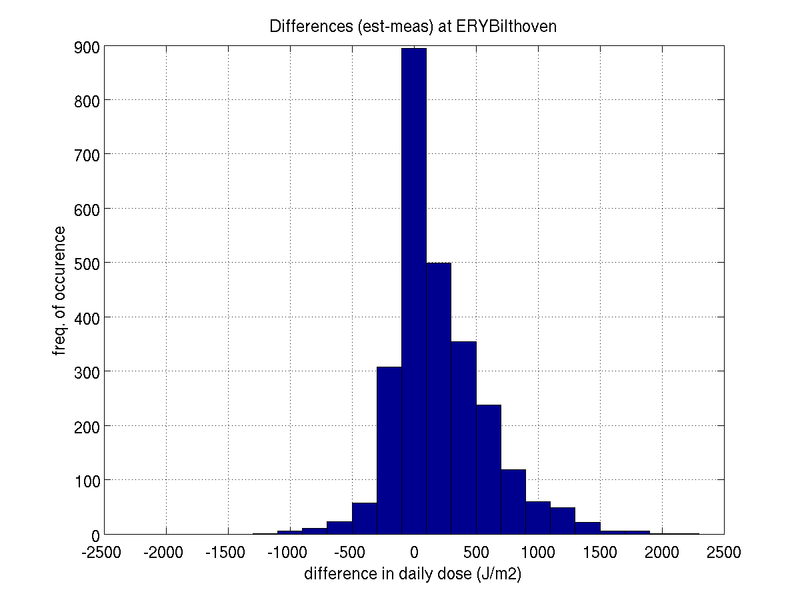 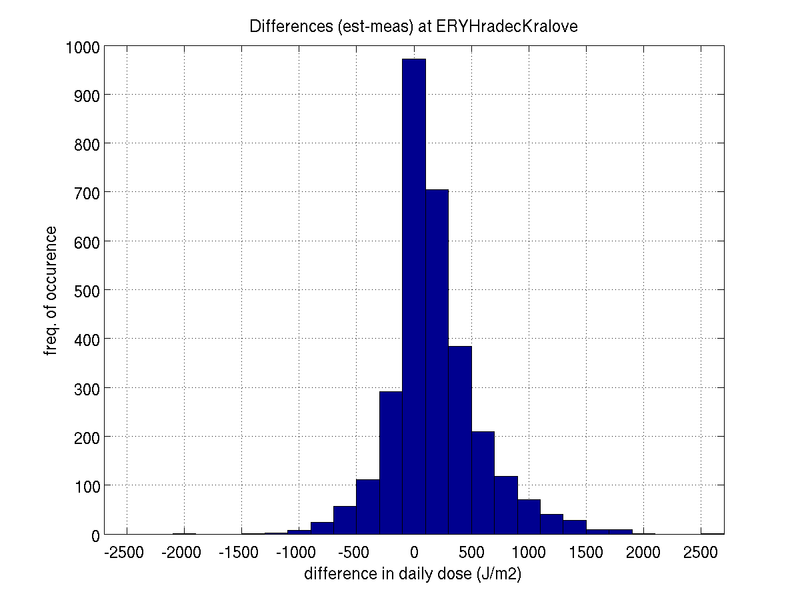 The new algorithm shows a median overestimation typically ranging from +8 to +17%, and mean bias ranging from +19 to 27% with 51 to 62% of the satellite-retrieved daily doses being within plus/minus 20% from the ground-based reference (here, typically means that the highest and lowest values were excluded). 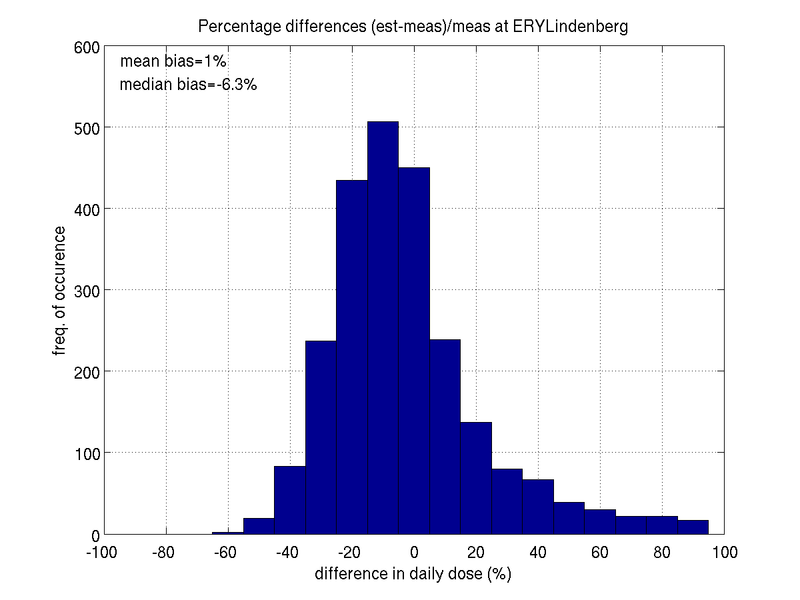 Lindenberg is an exception from the general behavior, as the satellite-retrieved UV doses there are close to the ground-based measurements: mean bias is +1% and median bias is -6%. 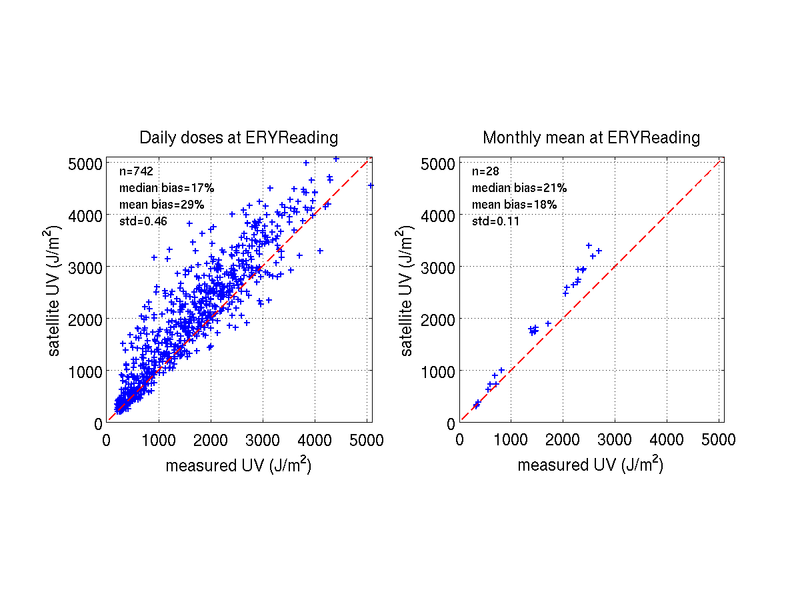 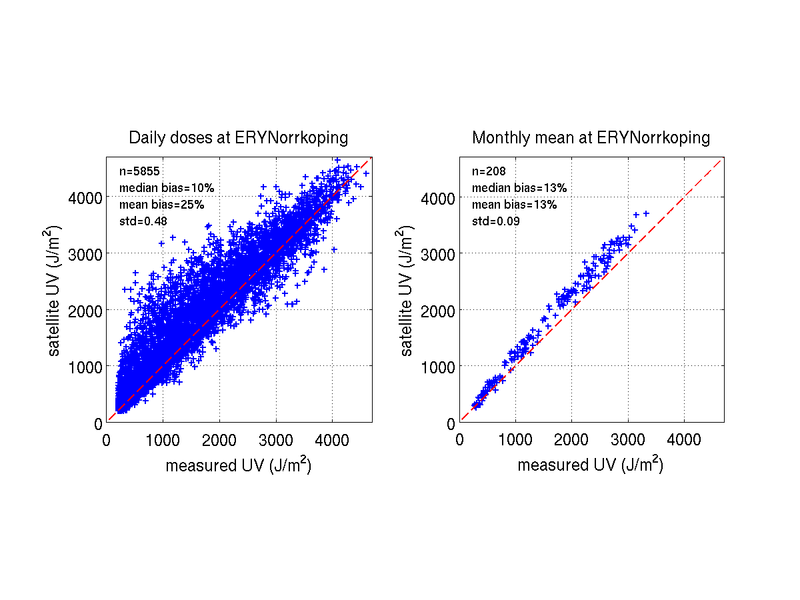 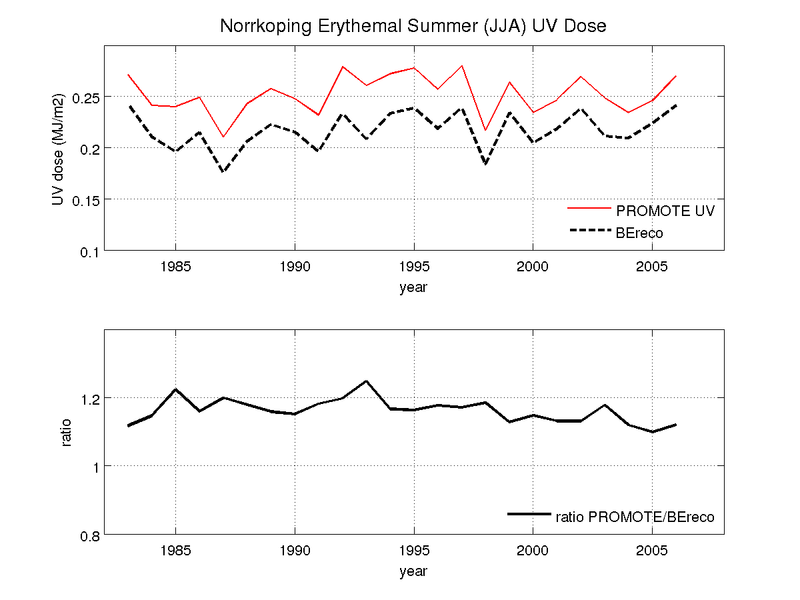 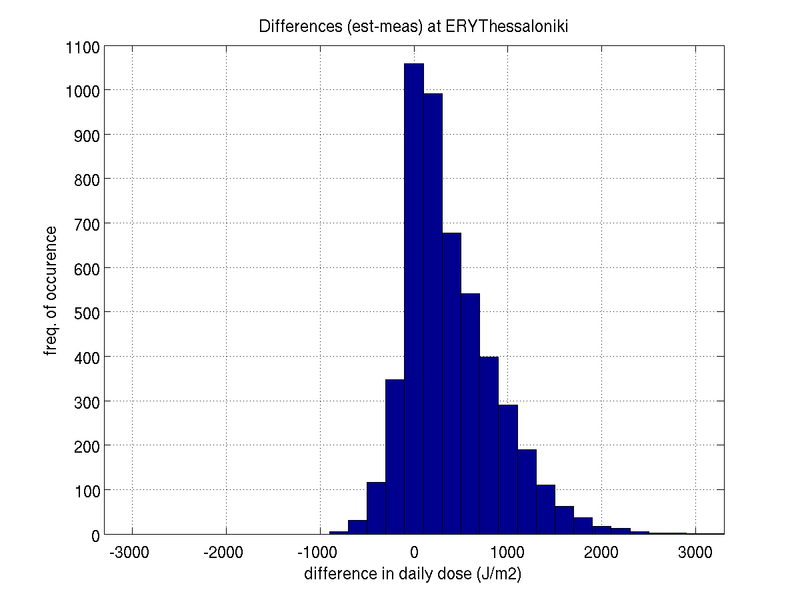 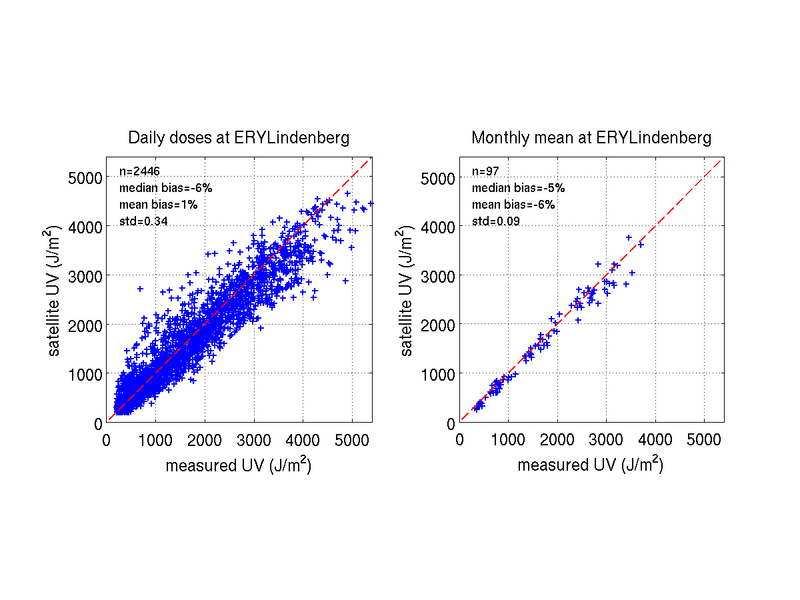 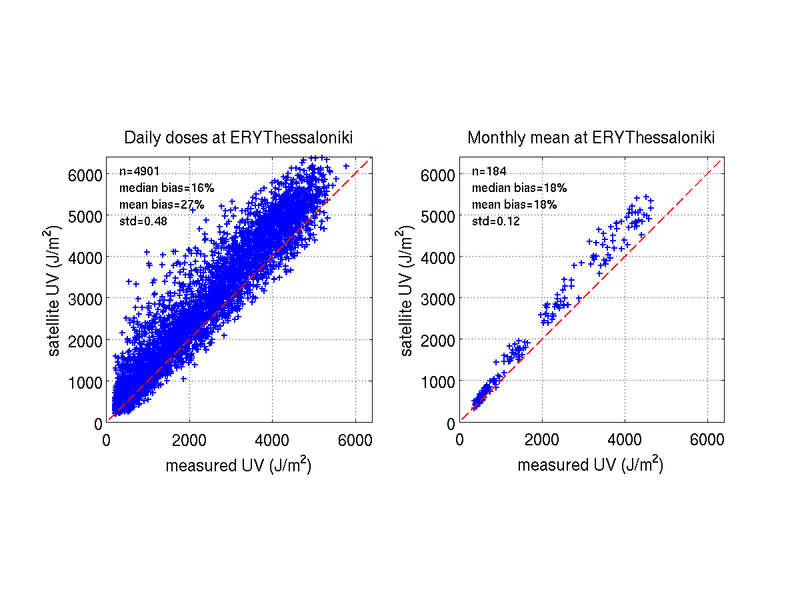 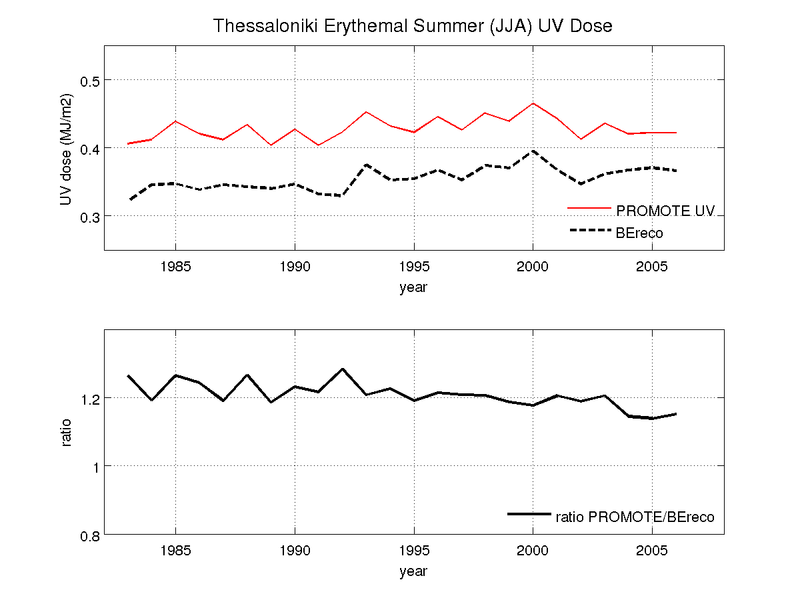 The long term summer (June-August) erythemal doses were calculated from satellite daily doses and from reconstructed UV data produced in the SCOUT-O3 project. 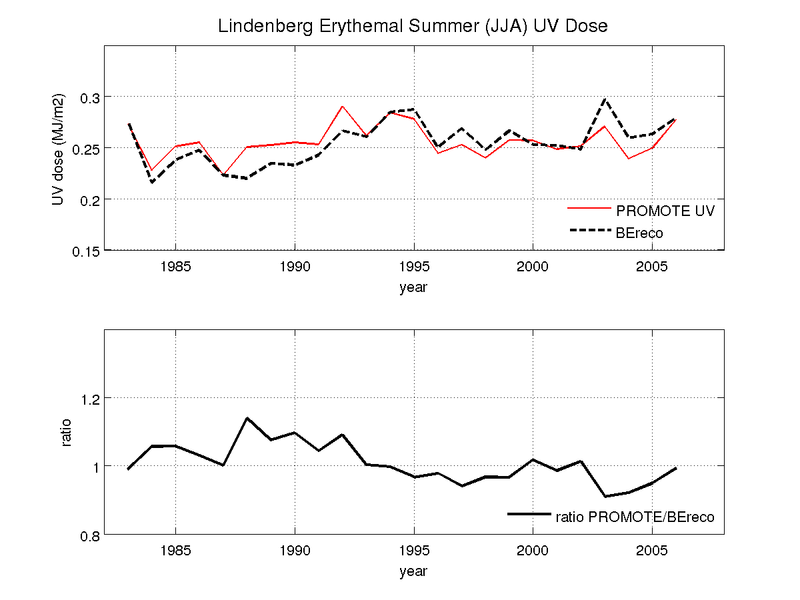 The use of this reconstructed data set allows one to have a picture of the behaviour of satellite data over the whole period of Promote UV record (1983-2007) and to detect any long term trends in the bias. 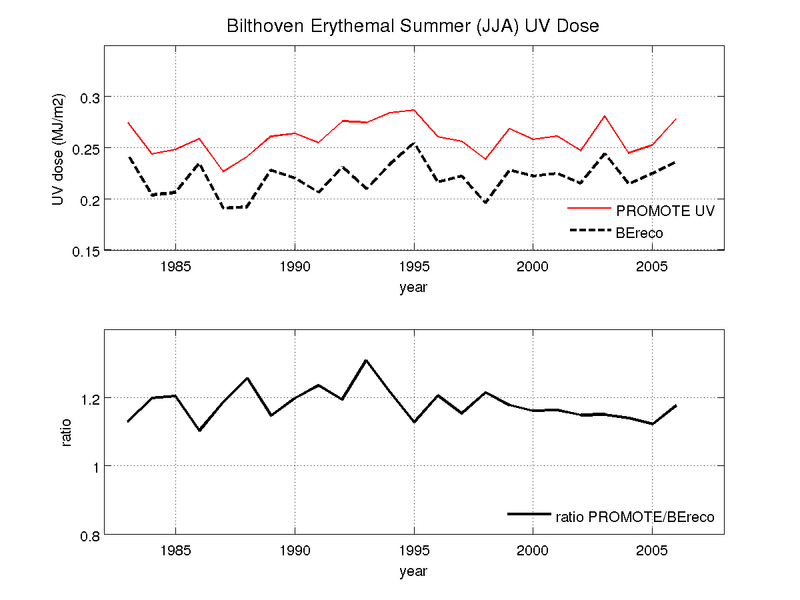 The comparison of these two data sets indicate that the typical bias of satellite data is about +20-30%, which is consistent with the comparison with ground based instruments. 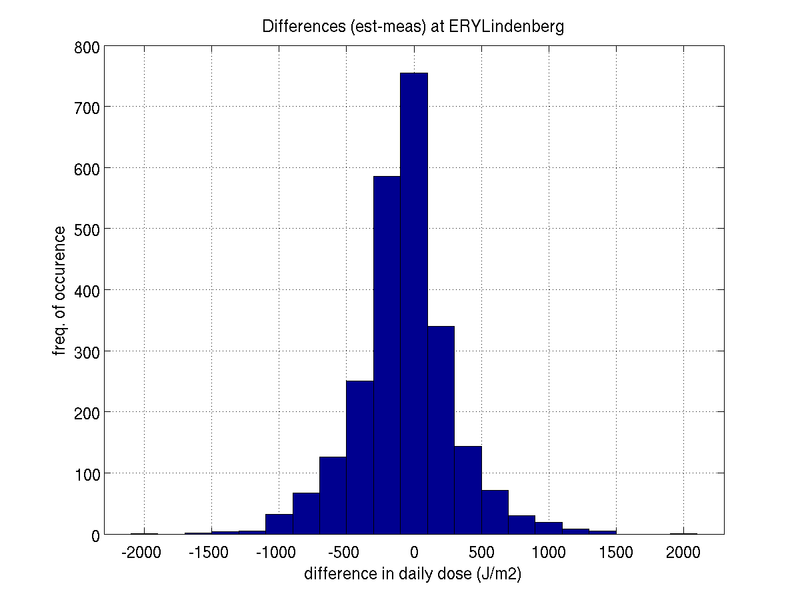 Again Lindenberg is an exception. 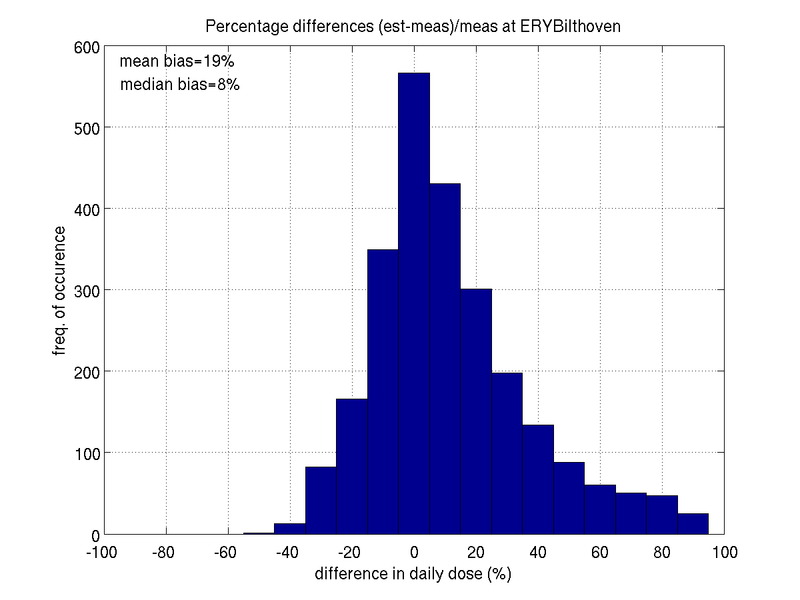 For all sites there are interannual variations in the bias, but in general no clear trend can be seen in the bias.